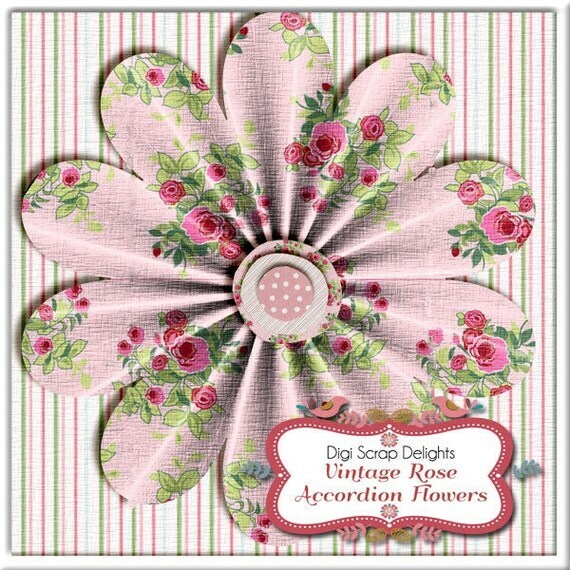 Home » Scrapbooking » Win the Vintage Rose Accordion Flowers- Maybe a New Trend? 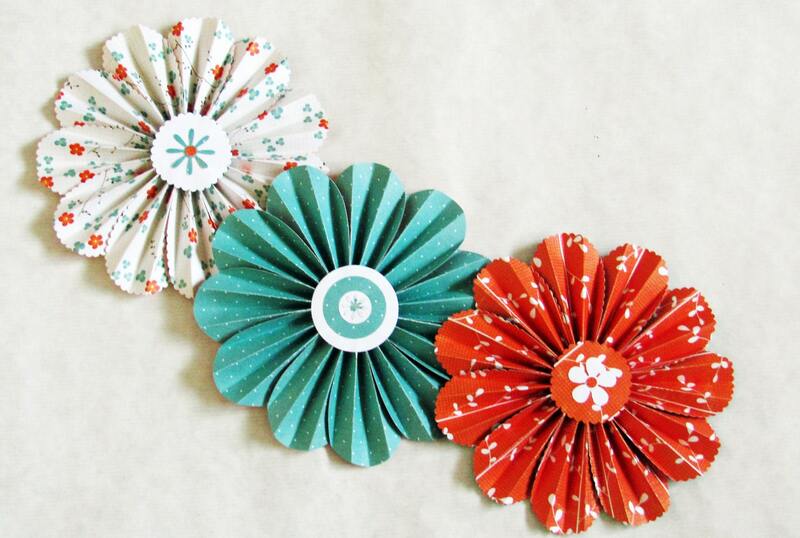 I saw these paper flowers for garlands on Etsy and fell in love with. 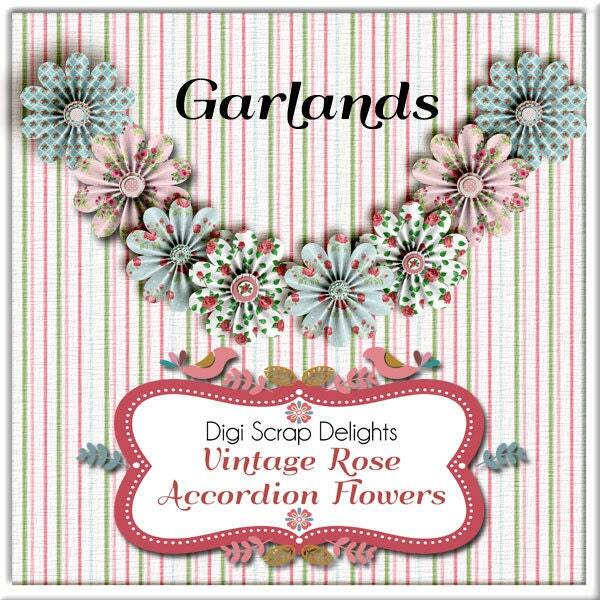 I use circle accordions in my scrapbook kits all the time but never saw them with petals like this. 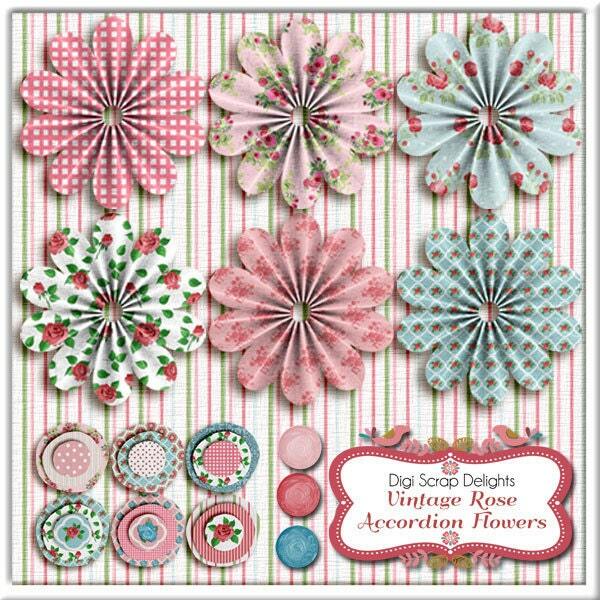 I couldn’t find any digital flowers like these so I played in Photoshop until I learned to make my own. I think I will be using these a lot. I like them better than the folded circles. 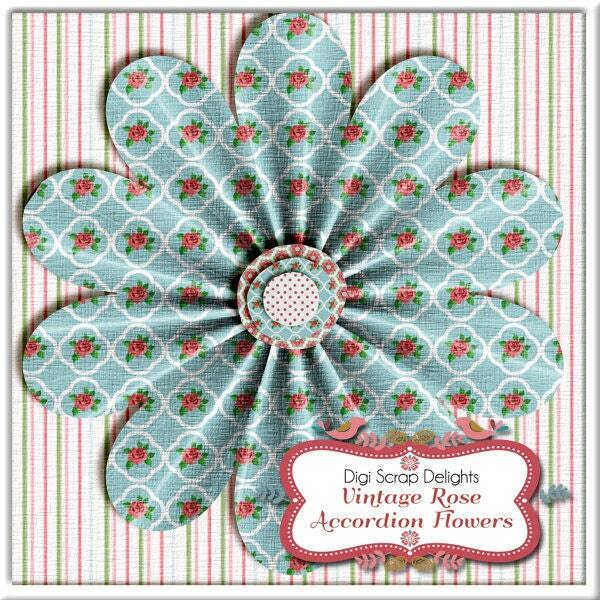 Leave a comment below for a chance to wint these flowers. I will pick a winner with Random.org April 30. If there is interest I’ll make templates for Commercial Use. I love this flowers! Thank you for the chance to win them! By the way: did anyone win your kit “Blue Hammingbird”? I love it sooooo much! Those are beautiful. Lots of ways to use them.